Something brand new from Mike Byrnes and Associates, Inc.: a novel! Since 1988, we have helped to launch hundreds of thousands of truck driving careers. First there was Bumper to Bumper, The Complete Guide to Tractor-Trailer Operations, then and now the premier truck-driving textbook. We translated Bumper to Bumper into Spanish and released a guide for diesel mechanics students working on tractor-trailers. Our Instructor Guides assist trainers in their job of teaching new drivers, and El Glosario, the Bumper to Bumper® Spanish/English Glossary of Trucking Terms lists alphabetically hundreds of terms used in the trucking industry, along with their Spanish translation and definition. For those preparing on their own to take the CDL tests we wrote CDL Truck Driver’s Test, a self-guided study book, for Barron’s Education Series, Inc. and created the Easy CDL smartphone-friendly CDL-prep apps. Our latest production, Easy CDL, is an online training and tracking system that meets all proposed Federal Motor Carrier Safety Administration mandatory training standards. This innovative technology allows students and teaching staff to access training anywhere, anytime. Train and track progress all from your computer anywhere, anytime. 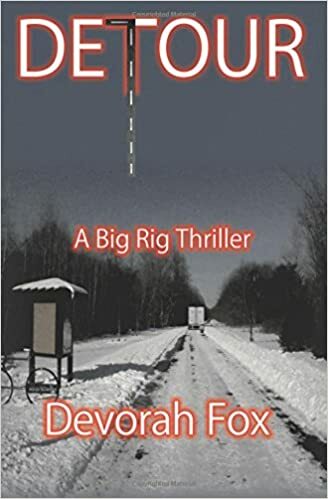 Now there’s Detour, A Big Rig Thriller, a novel about a truck driver who starts out planning to meet his girlfriend’s parents and stumbles upon a plot to harm the president of the United States. Those in the trucking industry will appreciate seeing a CMV driver portrayed in a positive light. Readers will get an idea of what a working truck driver’s job and life are like. 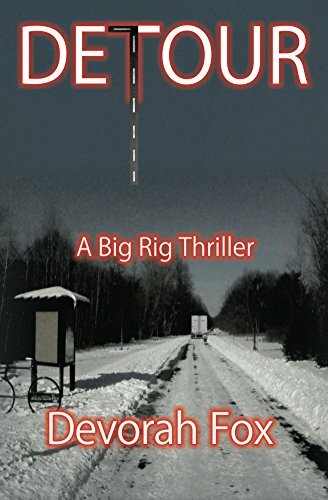 Detour has already received a five star review. It will be available in print and Kindle editions on Nov. 4 but you can claim your Kindle copy now at a special price of 99¢. Then the book will be in your Kindle the minute it launches. Be the first to meet America’s newest hero, truck driver Archie Harlanson.